The Jazz group, Fourplay: Bob James, Nathan East, Chuck Loeb, and Harvey Mason, with special guests and ex-Fourplay members Larry Carlton and Lee Ritenour, celebrate their 25th anniversary with their aptly titled CD, Silver, released on the Heads Up International label, a division of Concord Music Group. Fourplay - Silver is a mix of Funk, Fusion, Pop, Jazz, Blues, and that all so familiar tight melodies and the Fourplay exactness from talented musicians at the highest level. Fourplay - Silver was produced by Fourplay with Executive Producers Mark Wexler and Sonny Abelardo and released on the Heads Up International label, a division of Concord Music Group. Fourplay is celebrating their 25th Anniversary [Silver Anniversary] with the release of Silver. A band with consistency of personnel and diversity in music has created another stellar release. The release leads with the track Quicksilver, written by the newest member, Chuck Loeb, which echoes a Brazilian samba beat and is centered on the guitar work of Chuck Loeb and tight baseline of Nathan East and Harvey Mason. The track Horace, written by Bob James, is a tribute to one of Bob James's favorite jazz pianists, Horace Silver. The moving melody is carried on the back of the keyboard work of Bob James and the ringing cymbals and slight drum skin strokes by Harvey Mason. Sterling, co-written by Nathan East and Chuck Loeb, plunges the band into a fast pasted tempo with creative chord changes as the band members take turns on lead and with some give and take to provide rhythm support. A Silver Lining, written by Harvey Mason, is a tender arrangement that shows off the stylish elements of four master musicians. The track Silverado, written by Chuck Loeb and former member Larry Carlton, features a guest performance on guitar by Larry Carlton who adds his style to the Fourplay groove that separates this band from all others as it is tight, funky, edgy, and modish. Mine, written by Bob James, features the melding of the keyboards and guitar against a bluesy arrangement. Silver Streak, written by Harvey Mason and Chris Wells, who also shares backing vocals on the track, is layers of sounds and energy from all corners of the band as it bonds style and rhythms into a musical art form. Precious Metal, written by Chuck Loeb, features the high powered tenor saxophone work of Kirk Whalum. The release closes with the tracks Aniversário, a collaboration by Nathan East and Tom Keane, who also plays Synths on the track, that pushing the bass to new limits with a hard driving arrangement, and the track Windmill, a collaboration between Harvey Mason and former member Lee Ritenour, which blends the beauty of each instrument into a harmony of Fourplay exactness and which is a prefect song to close out the 25th Anniversary release Fourplay - Silver. Read Luxury Experience's Review of Fourplay's prior CD: Fourplay - Esprit de Four in the Music Scene section. 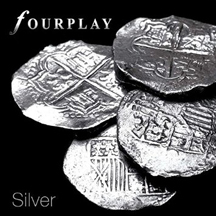 Websites where you can procure Fourplay - Silver are iTunes, CDUniverse, KM3 - Kings Road Merch, and Amazon. Listen to cuts off Fourplay - Silver on Yahoo - www.YouTube.com/watch?v=K2jJa2kP1WU and www.YouTube.com/watch?v=JZODwJ4BsRI. For information on upcoming Fourplay performances, please visit: www.FourPlayjazz.com, www.BobJames.com, www.NathanEast.com, www.ChuckLoeb.com, and www.HarveyMason.com. Follow Fourplay on Facebook at www.Facebook.com/FourplayJazz.